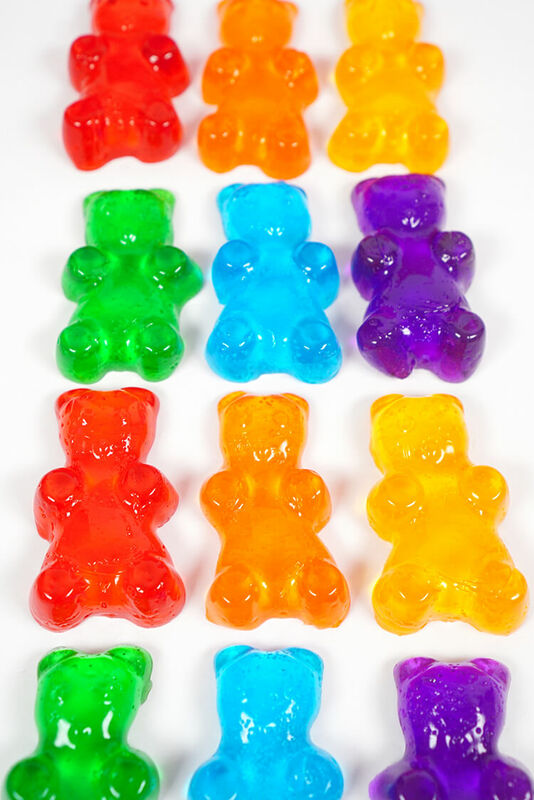 These quick and easy gummy bear shower jelly soaps make a great homemade gift idea! 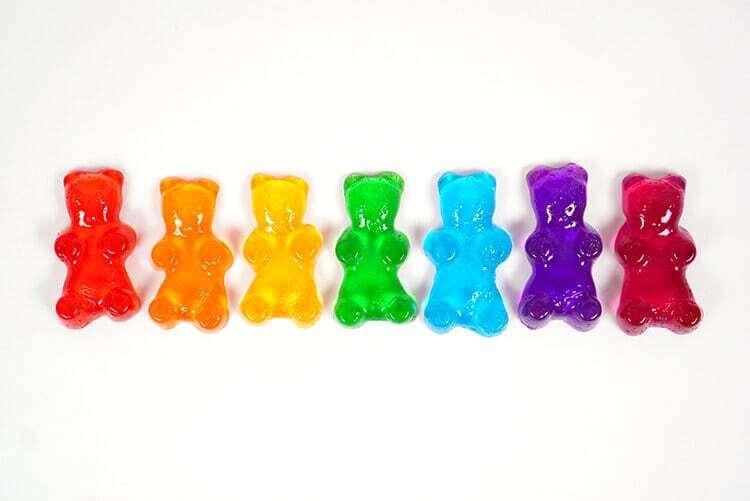 Make your own customized DIY Lush shower jellies in fun shapes, colors, and fragrances – just like these adorable rainbow gummy bear soaps! Thanks to stores like Lush, shower jellies are gaining popularity in a BIG way! Wiggly shower jelly soaps are all the rage with tweens and teens, and they’re a surefire hit for this year’s DIY homemade gift list! 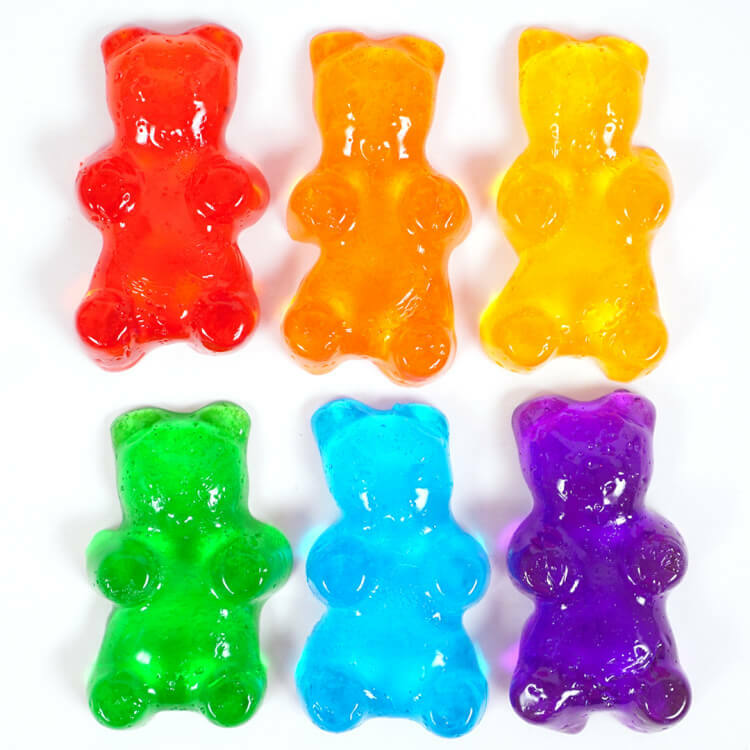 Deliciously-scented shower jelly soaps are awesome in even their most basic cube-shaped form, but I decided to kick things up a notch by making my own DIY Lush shower jelly soaps into brightly colored gummy bear soaps (with fruity fragrances, of course!)! Naturally, they’re the perfect shape for jiggly shower jellies! 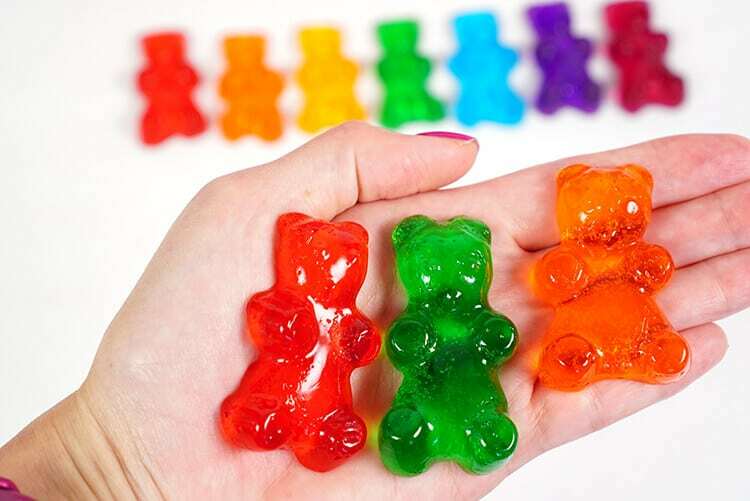 The best thing about these cute gummy bear soaps is that it takes less than 10 minutes to whip up a batch (not including the cooling time) – you can’t get much quicker or easier than that, especially when it comes to homemade gift ideas! 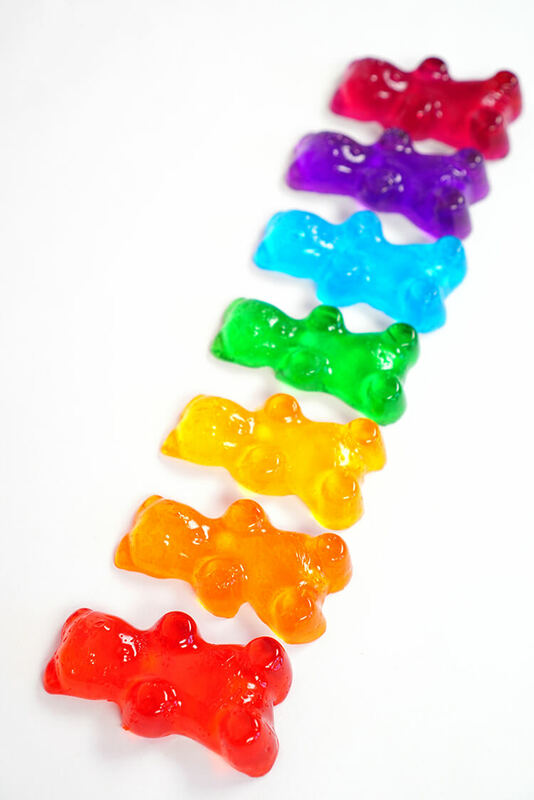 HOW TO MAKE DIY LUSH SHOWER JELLIES – GUMMY BEAR STYLE! 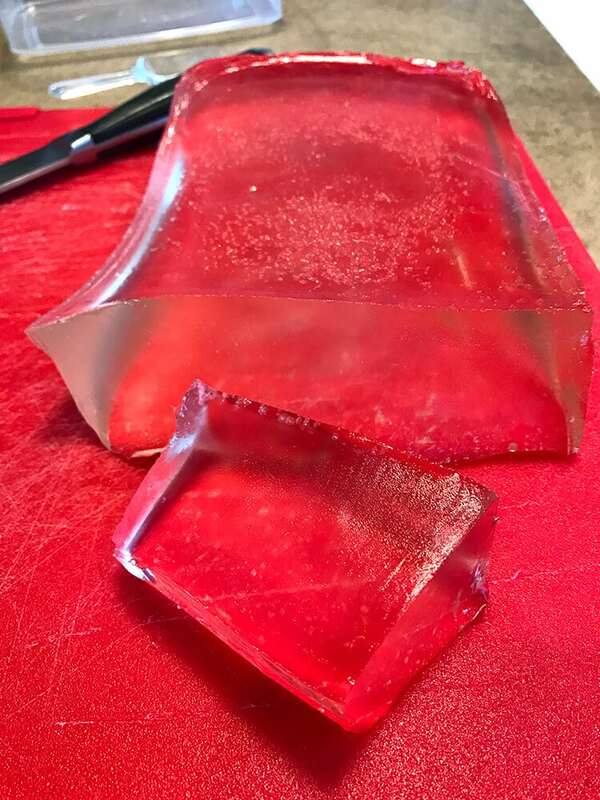 Begin by slicing the jelly soap base into small pieces and then into cubes. 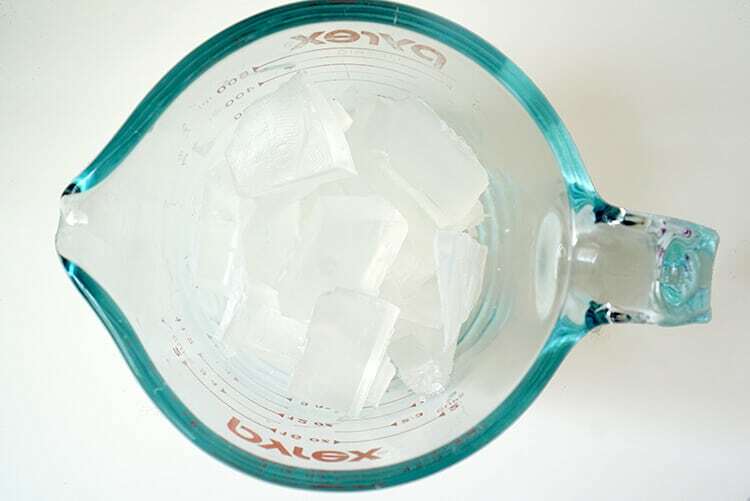 Place around 3/4 cup of soap cubes into a Pyrex measuring cup and melt in the microwave in 20-second increments, stirring well after each. 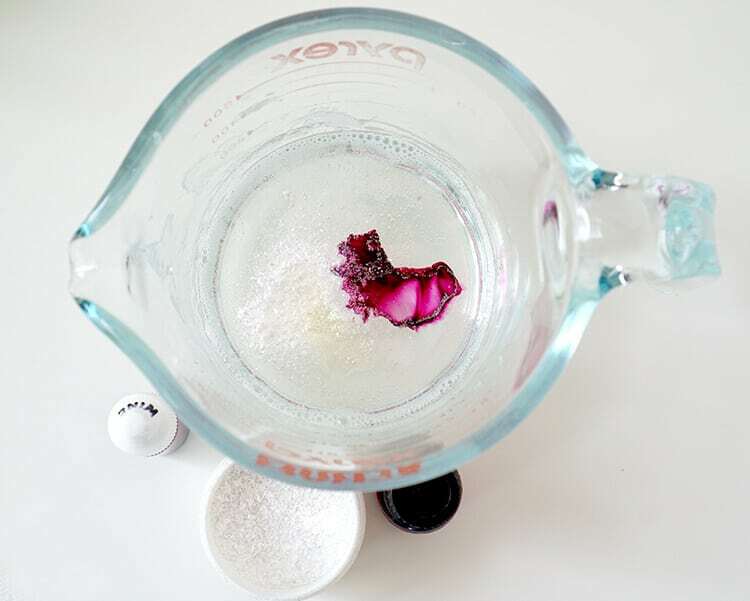 Once the soap is completely melted, stir in your soap colorant (3-10 drops depending on your preferences) and fragrance oil (5-10 drops). If you want to add any additional cosmetic-grade glitter or shimmer powder, now would be the time to add those as well! 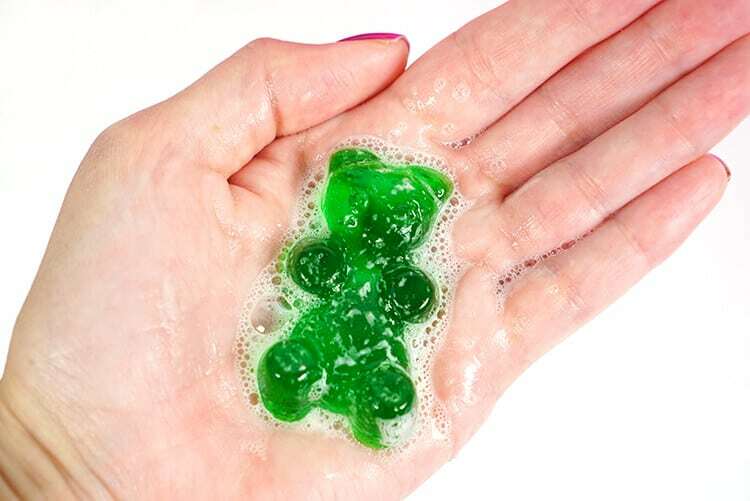 Spritz the gummy bear mold lightly with alcohol (to remove any bubbles from the bottom layer of the soap base), fill the mold with melted soap base, and finish by spritzing the top of the melted soap lightly with alcohol as well. Allow the soaps to sit undisturbed until cooled and set (approximately 30-60 minutes depending on temperature and humidity). Release the cooled soaps from the molds, and repeat the process for any additional colors and fragrances desired! Fair warning, it’s totally addictive, and you’re probably going to want to make ALL the colors! 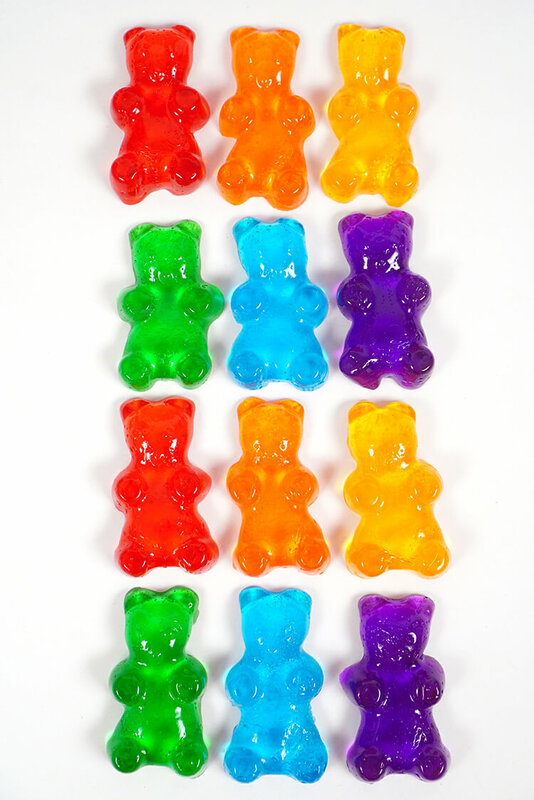 I seriously can’t get over how flippin’ adorable these little gummy bear shower jelly soaps are! 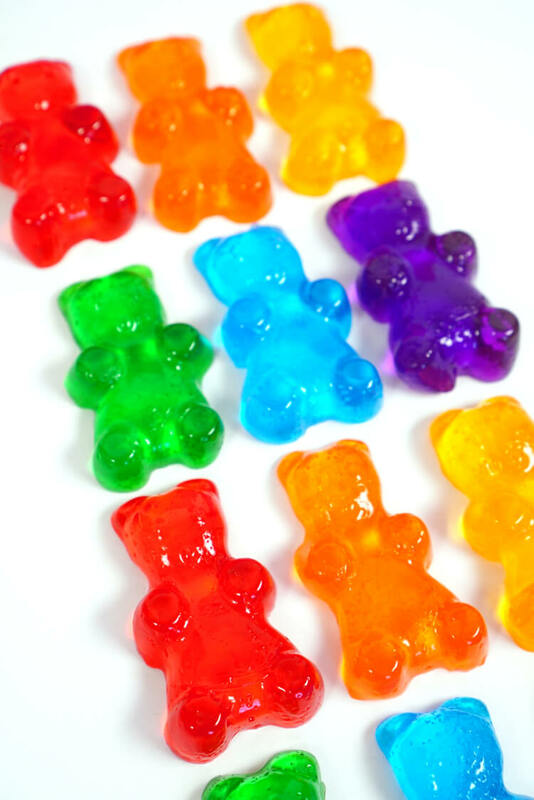 They really do look and feel just like jumbo gummy bears, so make sure that your little ones don’t try to eat them! 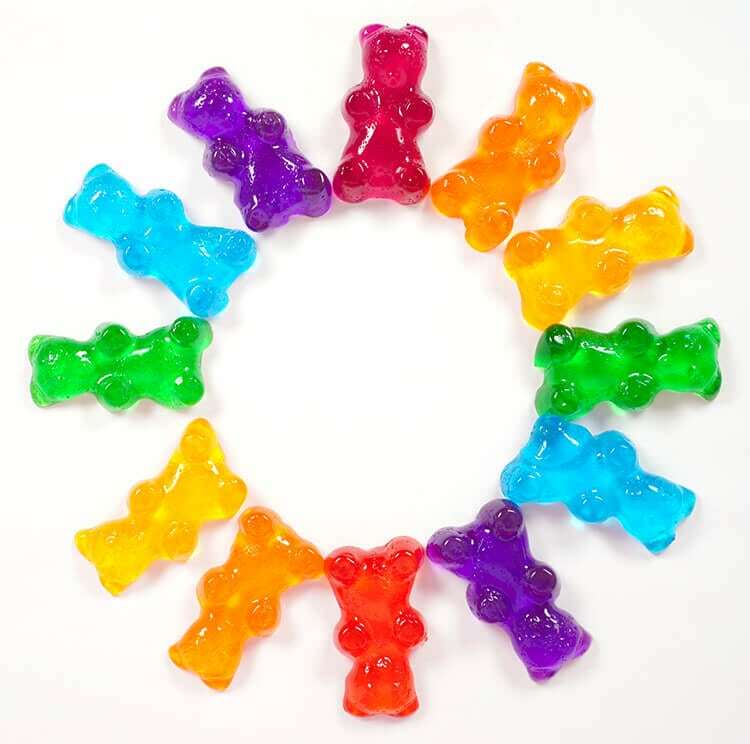 If you want to have even more fun, get really creative with your color and fragrance combinations – lemon-scented red bears or blueberry-scented yellow bears? You can even skip the fruity scents altogether and make a batch of root beer, bubble gum, or lavender-scented soaps! Have fun with it and mix and match unexpected combinations! Your shower or bath time has never been more fun! These squiggly and squirmy gummi bears are just as great at getting you clean as they are adorable! 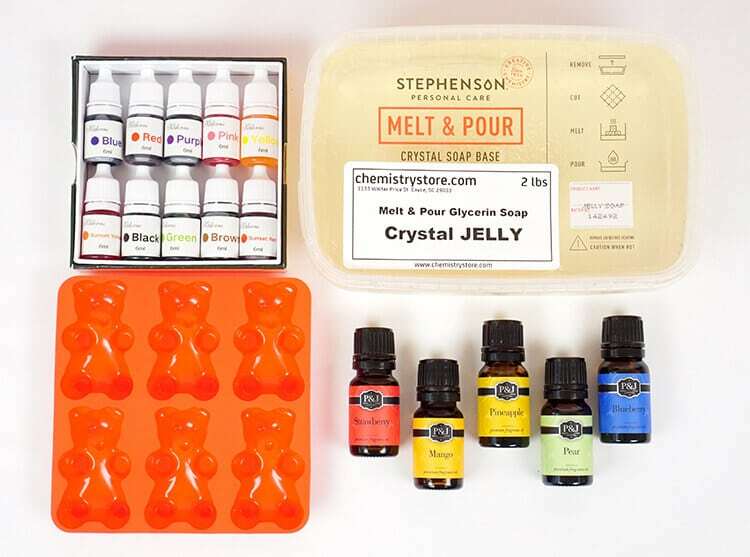 These Lush-like gummy bear shower jellies would make a fantastic homemade gift idea for your friends, family, teachers, neighbors, co-workers, or anyone else on your gift list! Quick, easy, inexpensive, and SUPER fun! If you like these DIY Shower Jelly Soaps, don’t forget to pin ’em! These are insanely cute! Can’t wait to try them! I am having such a good time looking at all your handmade soaps…so many great ones!! This base is crazy fun. I experimented with it as well adding some clear mp soap base and it makes them a little more sturdy. These are so cute. How do you wrap them if you want to give them as a gift? I usually wrap all of my soaps in plastic wrap, but a plastic bag would also work well!